Yum!! breakfast of champions!!! Okay, okay really, I'm so wanting to know what onions have to do with chemistry! 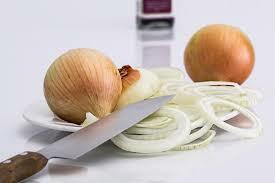 So why do onions make you cry when you cut them? Chopping them releases tiny aerosol droplets that you can smell and that also end up in your eyes! 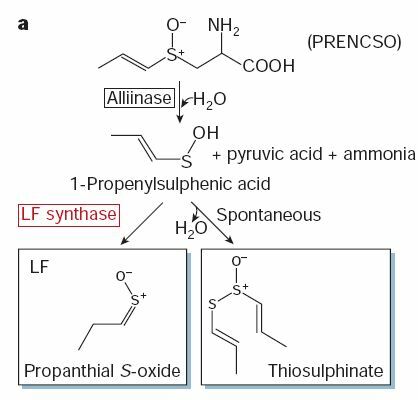 The droplets contain a powerful sulfur containing irritant: syn-propanethial-S-oxide. Or run the onion under water and keep the surface wet to cut down on the aerosols. Of course using onions grown in sulfur poor soils will be milder.